If you are more than serious about getting sleep, the Sierra Sleep® Loft and Madison 15-inch queen mattress delivers plush comfort in abundant ways. An innovative foam called MemGel® Swirl provides superior support and comfort via its high density gel-infused memory foam. This is one of several layers of high density memory foam that contour to your body to provide pressure point relief and reduction of motion transfer. 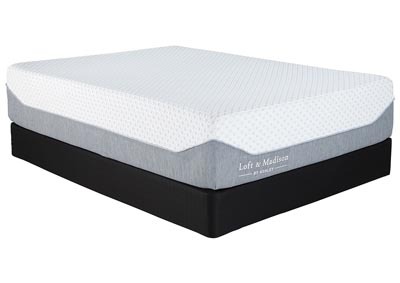 A bonus premium memory foam layer draws both heat and moisture from the body and is critical for keeping you at the right temperature as you sleep. You'll love the cloud-like feel.